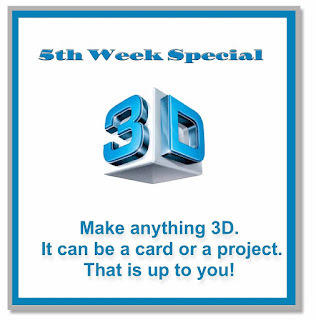 Welcome to our 5th Week Special 3-D challenge here at Watercooler Wednesday Challenges. Since it's the fifth Wednesday of the month, we thought a 3-D project would be just the ticket to add a wee bit of variety to the challenges. It was perfect for the project I had in mind. Remember the butterflies I made for last week's challenge? Well, here are the little gift bags that go with them. I matched up the Home for Christmas Designer Series Paper on the butterflies and the bags. I haven't quite finished them as they need tags and I'll also add some embellishment. I left the ribbon a wee bit long since I'll need to open them up to add the gifts I'm making for them. Cardstock: Home for Christmas Designer Series Paper; Accessories & Tools: Gift Bag Punch Board, 5/8" Whisper White Organza Ribbon, Fast Fuse Adhesive. All Stampin' Up!® product unless otherwise noted. To find all the challenge details, visit Watercooler Wednesday Challenges. We'd love to see your 3-D projects. 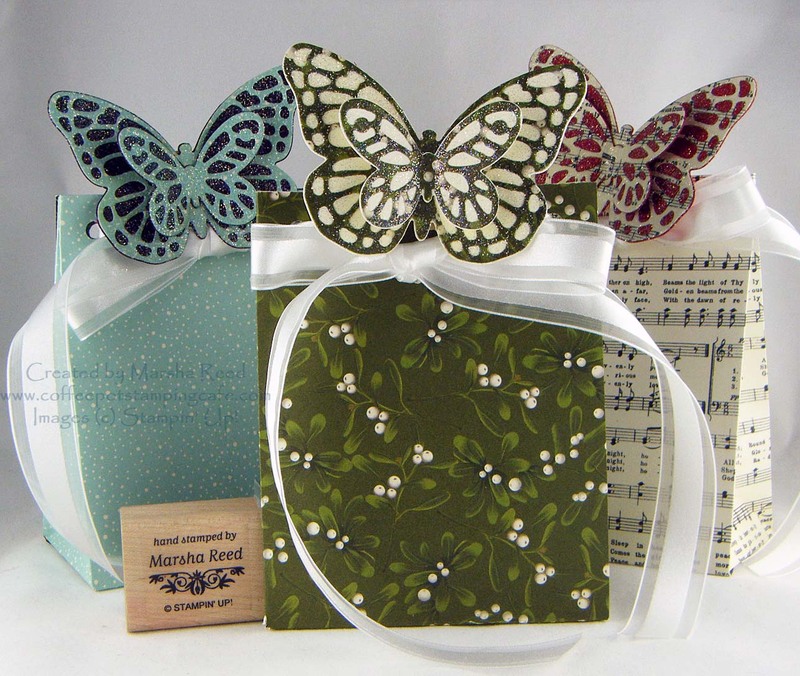 These little gift bags are so cute Marsha and I love the Butterflies flying off the top. Who wouldn't absolutely love to receive such a treat! Thanks for sharing. Thanks, Penny! They are so much fun to make. These are for my daughters-in-law. I think I need to make two more for my granddaughters.